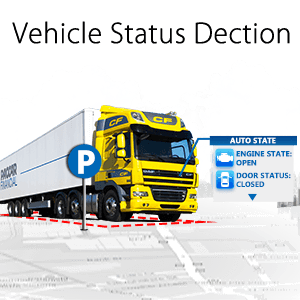 With GPS fleet management system in place, you can keep track of your vehicles at all times. You can even trace their location if they are stolen. Thanks to being able to trace them at all times, you will be well aware of where your vehicles are at all times, thus making it possible for you to know if a particular vehicle is not where it is supposed to be. It will also help you make a note of the time the vehicle takes to travel distances. The GPS is a cool piece of technology that allows you to track your vehicle at all times with the help of a tracking device fitted in your car. This device records your position. The data is then stored on your tracking system, it can also be accessed on the central database in real time. Thanks to vehicle diagnostics, you can be plugged on to a computer and keep an eye on fuel consumption as well as mileage. This will definitely be useful when you are doing your accounting. This will also help you make profiles on all your drivers. Thanks to this interesting piece of technology, Global Positioning System, all tasks like vehicle acquisition or disposal will be taken care of. With the help of the fleet management software one can make driver profiles, vehicle profiles, trip profiles, efficiency of vehicles, dispatching etc. you can bet this software will help you perform more efficiently, faster and with accuracy. More advanced software of GPS provides a security component that gives you control of your car when stopped. With this option, you can disable your vehicle when it is not being used. As you may have guessed, this technology is extremely useful when your vehicle is stolen. It is important that you know how old your vehicles are, it will give you a fair idea of whether you need a new vehicle or not. Mercury Associates Inc. gives out annually a list of the standards to measure the life cycle of vehicles. This should help you calculate the replacement date for a particular vehicle you own. By now you should have realised that a GPS fleet managements system is indeed useful in managing your fleet of vehicles. The fact that the system can keep a track on your vehicles should make you want to invest in this technology. And the security as well as control it offers you is an added bonus which honestly is invaluable.